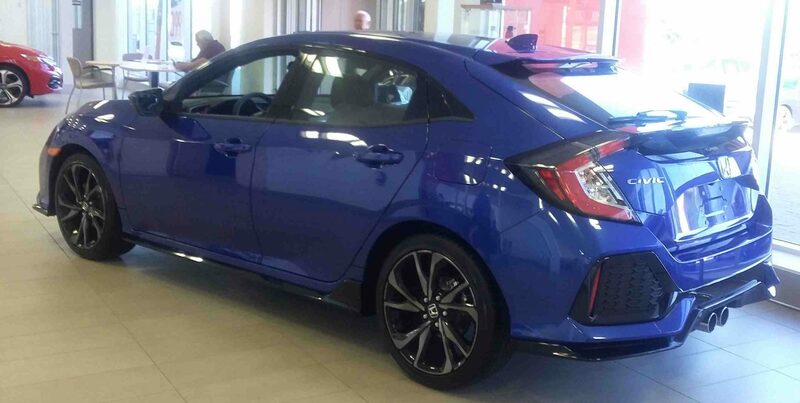 The 2017 Civic Hatchback Sport HS looks stunning on display in “Aegean Blue Metallic”! What’s under the hood is even better; a 1.5L, 16-valve, Direct Injection, DOHC, turbocharged, 4-cylinder engine. This, combined with its Continuously Variable Transmission produces an average fuel economy of 7.9/6.6/7.3 L/100km (city/highway/combination). The Hatchback is as stylish as it is comfortable. Its exterior gets definition from its body coloured bumpers, door handles, rear roofline spoiler, and dual centre exhaust with chrome finisher. On the inside, you will find a power moonroof, acoustic windshield, textured aluminum pedals, and folding Magic Seats. For extra convenience, the Hatchback includes proximity key entry, pushbutton start, and a remote engine starter! The 2017 Civic Hatchback is serious about safety. It comes equipped with the entire Honda Sensing group of safety features! This includes Lane Departure Warning, Forward Collision Warning, Collision Mitigation Breaking System, and more! The Sport HS trim level also includes a multi-angle rearview camera, HondaLink Assist, and LaneWatch blind spot display. 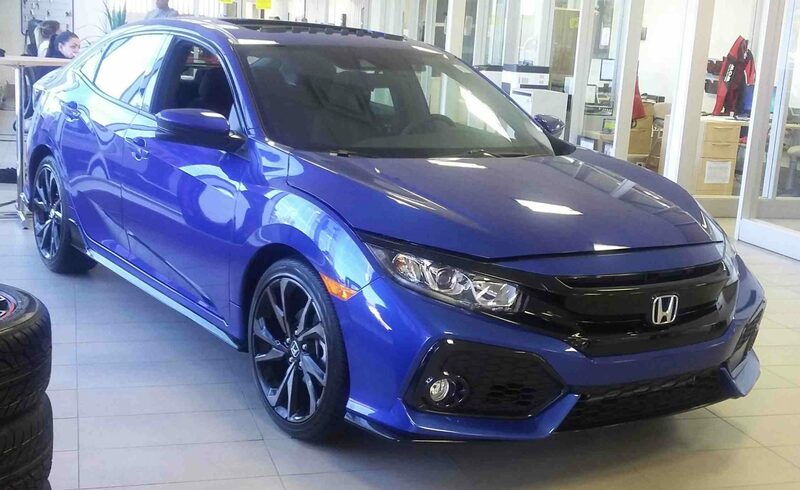 For entertainment and handsfree calls, the Hatchback is compatible with Apple CarPlay, Android Auto, Bluetooth Streaming Audio, and HondaLink! If you have any questions about the 2017 Civic Hatchback, click here to contact us! 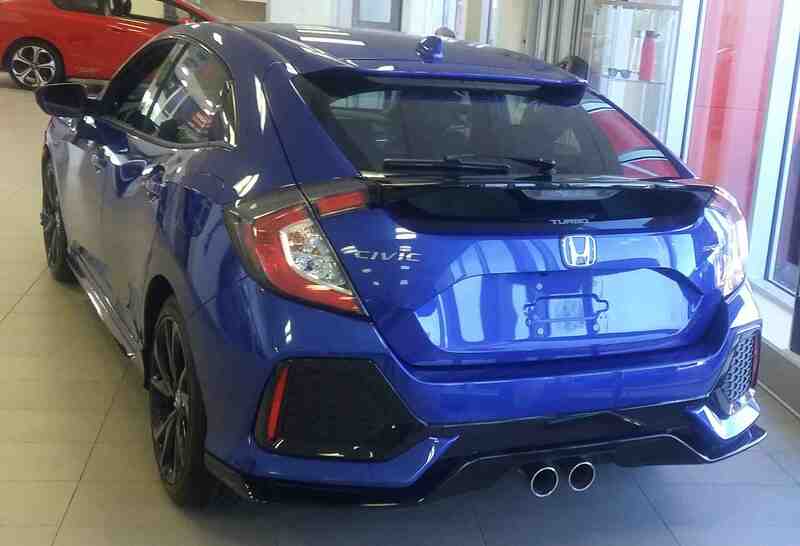 Click here to see more pictures of the Civic Hatchback!